Ever wanted to look like archetypal goth Robert Smith, lead singer of The Cure and owner of the world’s most untidy cat he keeps on his head? Now you can in true Snapchat style, thanks to a brand new feature on Facebook camera, introduced by Pitchfork magazine. 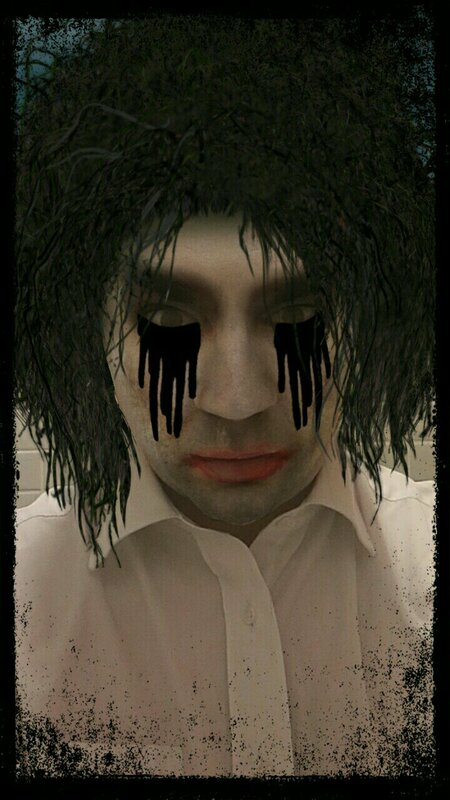 Accessible on the Facebook app for Android and iOS, the filter gives you Bob’s infamous exploding-dandelion hairdo, as well as panda eyeshadow and that classic smudged lipstick mouth with a dead-pale complexion. Raise your eyebrows, and black tears trickle down your cheeks (a gift from hell for the DeviantArt crowd). Open your mouth, and bats hurtle out, like Pete Murphy with a Hunger hangover. A most suitable selfie for Samhain, some might say! Introduced in March of this year, Facebook’s camera feature is the latest idea poached from their partner Snapchat, with the added innovation of user and community designed filters. Facebook also allows ‘Stories’ – 24-hour image diaries – to be posted to timelines, so expect your feed to be dominated by a terrifying tribute act of relatives slaughtering hits like ‘Boys Don’t Cry’ and ‘Lovecats’ very soon. Let us know what you think in our poll below, and leave a comment. This entry was posted in Uncategorized and tagged facebook, fun, internet, media, pitchfork, the cure. Bookmark the permalink.